In the Integration Designer, you can quickly and easily create a data type by using the Pega Platform™ local database as your system of record. The Pega system is included with the product. The following figure shows the Create new data type dialog box with the System details. 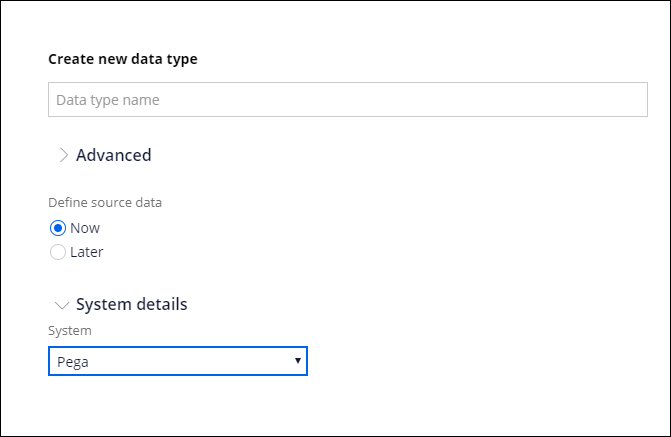 For more information, see Adding a data type that uses local data storage.